Android is all about development and that’s the only reason a big number of users and developers turning towards Android every day. The open source advantages of Android allow the developers to tweak the Android-powered devices to the maximum possible extent that changes the whole map of an Android device. One of the biggest developments and biggest tweaks is Underclocking and Overclocking the CPU of an Android device that developers have gained with the help of different applications/mods. You may have heard of these terms but not much familiar with both these, we talk about these sometimes when we have a concern with the battery of our Android device and reducing the use of CPU. 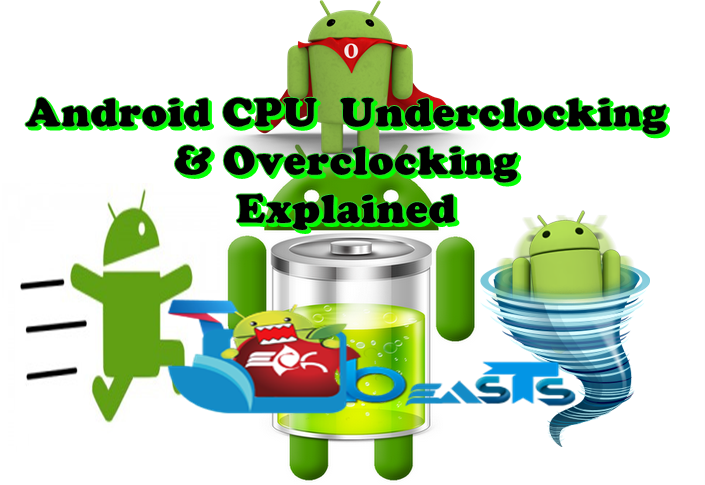 So, to make it more clear to you, I’ll be explaining these terms and also how to underclock and overclock your Android device in the following post. All the Android devices are powered by a CPU, these CPUs are provided by various companies like Qualcomm, Samsung’s Exynos, Nvidia’s Tegra etc. You must have seen the devices having a specific amount of GHz’s or MHz’s. These GHz’s / MHz’s are the clock speed of your device’s CPU. It also depends on how many cores your devices has, whether it’s a single core, dual core, quad core or octa core device. To understand CPU Underclocking, let’s say a device comes with a processor having 800 MHz processing speed and you want to underclock it, you will reduce its speed to 600 MHz or 500 MHz. That probably gives you an idea about underclocking, basically, it refers to slowing down or restricting the speed of your device’s CPU to a lower number. 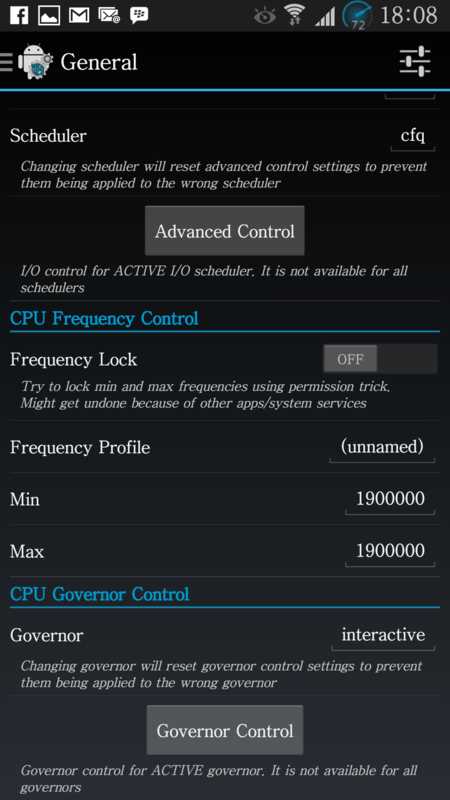 Underclocking is greatly effective as the battery life of your Android device is directly linked with the user of your device’s CPU, so in case you are not an Android freak and you don’t disturb your device much with gaming and other such processes, you can underclock your Android device to improve its battery life. Underclocking can greatly affect your device’s battery life. As mentioned, underclocking is only helpful if you’re not a game freak and don’t use your device that much. In that scenario, you should probably underclock your device and restrict its CPU to a suitable low speed. Underclocking your device to the minimum lowest speed can result in sending the device to sleep mode. In that case, you’ll have to pull the battery and put it back and then turn it on. So always restrict it to a suitable speed. Yes, it is safe. But still, we highly recommend you to underclock your Android device at your own risk. The name is self-explanatory. In Underclocking we basically restrict the speed of CPU but Overclocking is completely opposite to Underclocking. We can enhance the clock speed of some Android devices from the stock clock speed. For example, a device has 800 MHz clock speed then CPU Overclocking will be to increase this speed from 800 MHz to 1 GHz. It is also known as increasing the frequency of your device’s CPU. As the purpose of a CPU is to perform tasks on your Android device, higher is the CPU, faster it will perform the tasks and less will be the chances of lag. Overclocking is mostly useful on old devices having less CPU clock speed. If you wish to play 3D/HD games or you want to run the games/apps lag free you may Overclock your device’s CPU and it will work like a new device with higher clock speed. Overclocking your Android device will directly affect the battery life and will result in battery drainage. More burden you put on your CPU more battery it will consume. This can be tested only upon Overclocking an Android device that how much its battery it eats, in case your device is not able to hand Overclocking it is recommended to plug in a wall charger when you open an app that wakes up the CPU. Well, it’s safe. Unlike the CPU’s of computers, Android devices have safer CPUs. The maximum danger it will cause the device is, it will result in rebooting it not in resulting in a hard brick or something like that. The maximum possible speed that you can gain on your Android device’s CPU will be mentioned in the app/mod that you use to Overclock it. Also, Overclocking doesn’t mean that your device will always use the Overclocked CPU. Overclocked speed will be only used when you run any app/game that requires it. 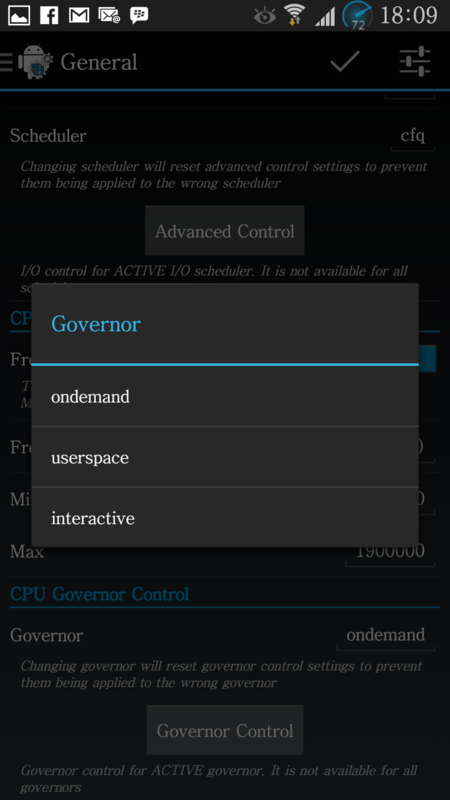 GPU is responsible for displaying each and everything on your Android device. All the graphics/effects are drawn by the GPU of your Android device. Underclocking the GPU can be greatly effective as well as lowering down and restricting its frequency will lessen the use of your device’s Battery and give you more Battery backup. Backup each and everything before you proceed. So that just in case something goes wrong, you can still have all of your important data. Warning: The process involved in Underclocking or Overclocking your device’s CPU or GPU are always custom and the cellphone manufacturers or Google is not responsible for these processes. Make sure that what you’re doing, you consider yourself responsible for that and you’re doing it at your own risk. In case of any mishap / damage we may not be held responsible. It is highly recommended not to proceed if you don’t have any idea about such custom process. Now under CPU Frequency Control > Enter the Minimum clock speed you want to use. Similarly, enter the Maximum clock speed you want your device to use. Tap Gover on the bottom and select on-demand. 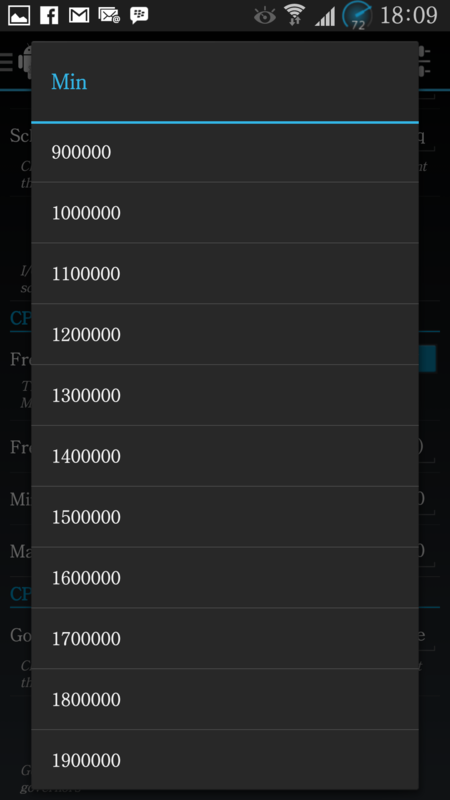 Similarly, you can overclock your device by setting these speeds to a higher number available in the list. To unlock more features and enhance your device more, you’ll have to purchase Trickster Mod’s donate key, or purchase Set CPU from the Play Store.